Black wrinkle finish with a fine pearl silver vein. 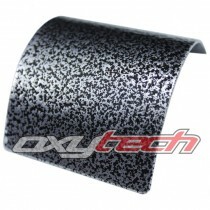 Finishes with a metallic vein pattern are based on resin systems for indoor use only. To preserve its decorative appearance, application of a protective clear-coat (such as OXYPLAST PR28) over the Antique finish is highly recommended. Finishe..
Black wrinkle finish with a heavy pearl silver vein. Finishes with a metallic vein pattern are based on resin systems for indoor use only. To preserve its decorative appearance, application of a protective clear-coat (such as OXYPLAST PR28) over the Antique finish is highly recommended. Finishes w..
Industrial black with a flat, matt finish. This PR12-based colour is a thermosetting powder coating based on saturated polyester resins specially selected for exterior use. Its very good flow-out and excellent resistance to atmospheric ageing and ultra-violet light make it highly decorative and dur..
Industrial black colour with a wrinkle/ripple finish. OXYPLAST Wrinkle finish powder coatings are highly decorative ripple-pattern finishes available in any of the OXYPLAST powder types e.g. epoxy, polyester and epoxy-polyester. In certain applications this finish is chosen because of its ability..
Industrial Black, excellent high build primer with a matt finish. This colour is an epoxy-based thermosetting powder coating formulated to give a finish with very good flow-out and gloss levels ranging from satin to very high gloss. It is used indoors as a general decorative coating. ..
Industrial Black, excellent high build primer with a matt finish. 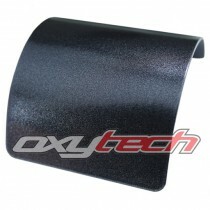 This FF6-based colour is a thermosetting powder coating based on epoxy and polyester resins. It is formulated to give high-build film thickness with excellent flow-out. 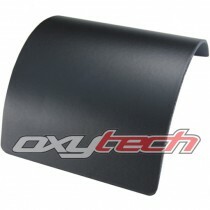 This makes it suitable for use as a primer underneath a polyeste..
Pearlescent, black/grey colour with a satin finish. This PR12-based colour is a thermosetting powder coating based on saturated polyester resins specially selected for exterior use. Its very good flow-out and excellent resistance to atmospheric ageing and ultra-violet light make it highly decorativ..
Complement steel fencing colours: Night Sky, Black (Gram), Ebony (Ace), Eclipse (C/bond). Industrial Black with a satin finish. This PR12-based colour is a thermosetting powder coating based on saturated polyester resins specially selected for exterior use. Its very good flow-out and excellent resi.. 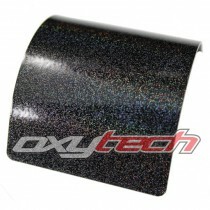 Heavy prismatic/rainbow flake in a black base colour, with a satin finish. OXYPLAST Texture Finish powder coatings are highly decorative finishes with roughened surfaces, available in any of the OXYPLAST powder types e.g. 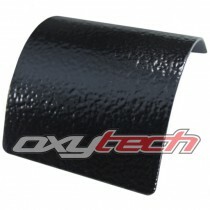 epoxy, polyester and epoxy-polyester. In certain applications the finish is c..